I have little will power when it comes to food, so I purposely keep certain foods out of my kitchen in order to help me from eating them. Our annual camping trip, however, is like a time-out from the ban on these forbidden fruits (aka processed snacks). 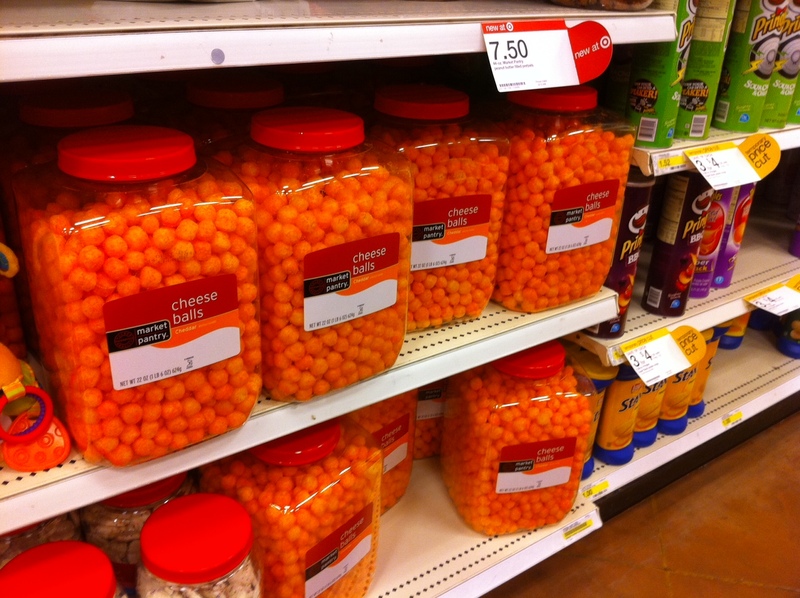 So when my son wanted to buy a vat of cheese balls to take on vacation, I considered a moment before answering him. Would I be able to keep myself from eating them? Yes, I finally said. He could get them because Yes, I could stop myself from eating them. After all, they’re a toxic orange. My rational, adult mind should be able to stop my emotion-driven decision to eat this unhealthy snack. Well, John Calvin, free will 0 predestination 1. Half the tub is gone and the kids touched them once. My husband, if he weren’t so politically savvy, would have predicted this outcome. 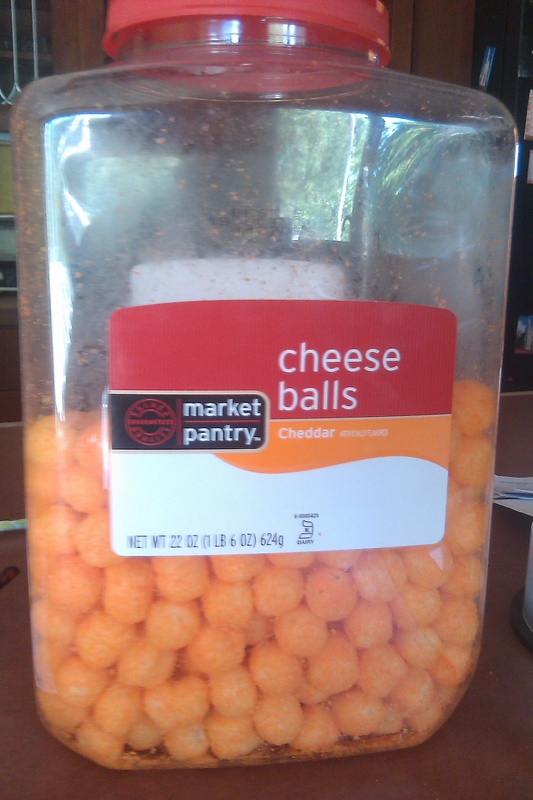 So now I’m sitting in my kitchen, home safely from vacation, and that half tub of cheese balls is staring at me. As I eat my little toasts with natural peanut butter and have my half glass of skim milk, the cheese balls begin whispering to me. Whose side are they on? Do they want to be eaten? Do they want me to be fat? Unhealthy? Depressed because I have no self control? Or are they just a gateway snack to first unethical and then just plain evil choices? I’m certain they’re on the Dark Side, despite their bright orange appearance. 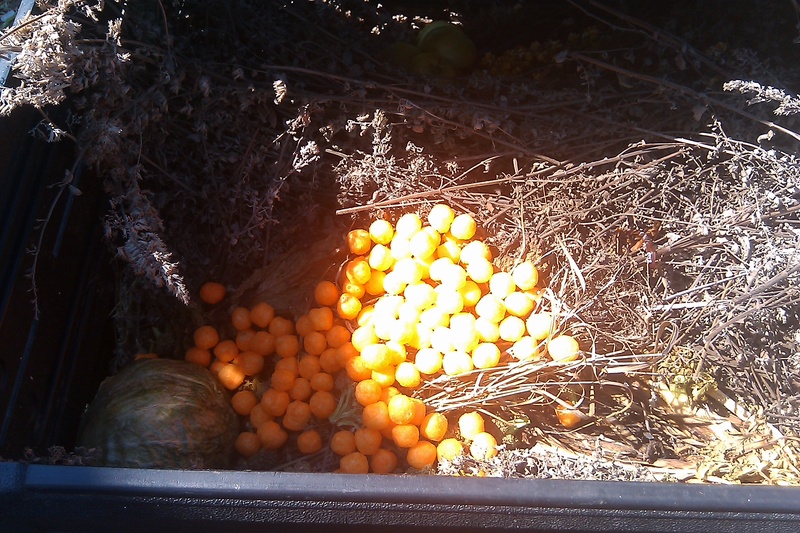 So I ask for strength from Harry Potter and make the decision to dump the cheese balls on the compost heap. And cover them with rotten vegetation to keep me from digging them back out. A girl can’t be too careful when dealing with Deatheater cheese balls. Every 15 weeks I talk about the impact John Calvin has had on our culture. It’s one of the moments I see young adults perk up and see that aha moment in their eyes. They have these values, these beliefs, but didn’t know where they came from other than their parents and grandparents. My discussion of Calvin has always been antiseptic for me. Other than being a slave to the Calvinist work ethic, I had never felt haunted by Calvin. Until now. When a family member is diagnosed with cancer, most people would share this news with friends and family and would receive emotional, and sometimes financial, support. Depending on the situation this news might be shared more broadly–as with the donation can set up at the local gas station or breakfast grill, the signs that advertise the spaghetti dinner with the picture of the person who’s ill. But when your loved one stands up and says, “Hi, my name is X and I’m an alcoholic and/or substance addict,” most people don’t share this news and expect empathy and support. They expect the look. And the look they see is Calvin flitting behind the eyes of their confessor. This very spring I counseled someone to not be ashamed and to seek the help that’s available to those who stumble. But when my turn came mere weeks later, I stood in stoic silence, stiff-necked. I did not share my loved one’s illness with my closest friends. As time after time, when someone asked how I was I said, “fine,” I began to examine why I wasn’t confiding in my buddies. I realized that, even though, intellectually, I can see substance abuse as an illness, emotionally I was seeing it as a moral failing, a scarlet letter of weakness that my ancestors simply would not have accepted. And I fought asking for help from those who loved me because to ask for help branded me as a failure and marked my own weakness. This weakness did not feel temporary. Rather, it felt like the dark mark from Harry Potter that had been waiting to surface and was now going to be visible to everyone. Everyone would see I was not part of the elect. My German ancestors did not talk much about themselves. They faced hardship with stoicism. Many of them died young from heart-related ailments. Stoicism’s stiff upper lip is best left on the busts of dead Romans. But our society calls for it. We mock and are entertained by those who share their personal tragedies in public. We’ve given them a special arena, reality TV, to do so. In our political arena, we defend social security as something earned, but excoriate welfare as support for the weak. Age is an acceptable infirmity. Misfortune is not. In our workplaces we’re given the facade of support–every corporation has an employee assistance program of some type. But our workplace policies speak otherwise. Diagnosed with cancer? Take sick time. Fail a drug test because you’re ailing emotionally and are trying to treat yourself? Lose your job or, at best, receive other disciplinary action. Our local hospital has stopped hiring people who smoke, but does not ask for a genetic analysis as a prerequisite for employment. We are haunted by Calvin. We have acknowledged that physical weakness is often beyond our control–we did not choose our DNA. We do not, however, see biology and psychology as equals. Does this mean I am rushing out to tell my friends that my family has been touched by substance abuse? No. Calvin’s ghost is with me there still. I have, however, taken my own advice and admitted that I may need the help of my family to get through this episode of our lives. I let my stiff upper lip quaver and my face crumble into tears once in awhile in the presence of my mother. It’s a start. Hi, my name is X and I’m haunted by the moral philosophy of my ancestors.